The Malaysia International Scholarship (MIS) is an initiative by the Malaysian Governbrment to attract the best brain from around the world to pursue advanced academic studies in Malaysia. This scholarship aims to support Malaysian Government’s effort to attract, motivate and retain talented human capital from abroad. The Netherlands Fellowship Programmes (NFP), funded by the Dutch Ministry of Foreign Affairs under the budget for development cooperation, are designed to promote capacity building within organizations in 51 (previously 62) countries by providing training and education to mid-career staff. The overall aim of the NFP is to help alleviate qualitative and quantitative shortages of skilled manpower within a wide range of governmental, private and non-governmental organizations. 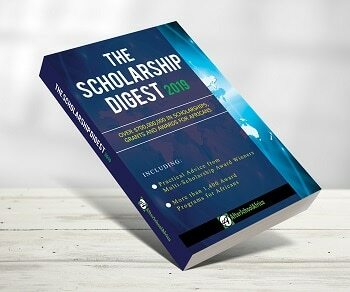 The Federal Scholarship Board by the Federal Ministry of Education of Nigeria every year offers the Bilateral Educational Agreement (BEA) Scholarship Awards for Undergraduate, Masters and PhD students to study Overseas. International Ibsen Scholarships in Norway. The International Ibsen Scholarships were initiated in 2007 by the Norwegian government and handed out for the first time in 2008. Scholarships are awarded innovative projects in the field of drama and performing arts and projects that act as incentives for critical discourse in regards to existential and society-related subject matters concerning Henrik Ibsen. The Romanian Government through the Ministry of Foreign Affairs offers Scholarships to foreign citizens to study for Undergraduate, Masters and Doctoral Degrees. Citizens of non EU countries (irrespective of their country of residence) are eligible to apply. Priority is given to citizens from non EU states with which Romania does not have cultural and education cooperation agreements. The Swedish Institute Study Scholarships – SISS is the Swedish government’s international awards scheme aimed at developing global leaders. It is funded by the Ministry for Foreign Affairs of Sweden and administered by the Swedish Institute (SI). The Scholarships target highly-qualified students and are awarded for studies in Sweden starting in an autumn semester. The scholarships are intended for full-time master’s level studies in Sweden and cover both living costs and tuition fees. The Swedish Government offers exclusive scholarships to South African citizens. We are now looking for talented and ambitious scholars that want to attend a Master’s Programme at a Swedish university. Everything from living expenses to tuition fee will be included in the scholarship. The Scientific and Technological Research Council of Turkey (TÜBİTAK) grants fellowships for international highly qualified PhD students and young post-doctoral researchers to pursue their research in Turkey in certain fields. The program aims to promote Turkey’s scientific and technological collaboration with countries of the prospective researchers. Preference will be given to candidates who demonstrate the potential to contribute significantly to Turkey’s goal of international cooperation in scientific and technological development. Chevening Scholarships are awarded to individuals with strong academic backgrounds who also have demonstrable leadership potential. The scholarship offers financial support to study for a Master’s degree at any of the UK’s leading universities and the opportunity to become part of an influential global network of 44,000 alumni. These scholarships represent a significant investment from the UK government to develop the next cohort of global leaders. The Fulbright Program are full scholarships in USA for international students (including students from African and developing countries) who wants to pursue a Master’s or PhD degree. The scholarships can also be awarded for non-degree postgraduate studies. The grant covers tuition fee, textbooks, airfare, a living stipend, and health insurance. Application is encouraged from masters and PhD studies in fields including interdisciplinary ones except medical degree program or clinical medical research. The main objective of the Quota Scheme is to contribute to capacity building through education that will benefit the home country of the students when they return. The Scheme is also intended to strengthen relations between Norway and the selected countries and thus contribute to internationalization at Norwegian institutions of higher education. Most universities and university colleges in Norway participate in the Quota scheme.